MCI UK has reported turnover of £19.6m for 2013, a 31% jump year-on-year. Petersfield-based events agency and PCO, MCI UK, which acquired Oxford Marketing International in 2012, has reported turnover of £19.6m in 2013, which is an increase of 31% compared to 2012 (14.9m). Gross profit showed an increase of 5% in 2013 at £4.3m compared to £4.1m in 2012. Operating profit, prior to group charges, rose by 37% to £702k compared to £512k in 2012. Pre-tax profits increased by 75% to £265k in 2013 compared to £151k in 2012. The report said that MCI UK is 'anticipating growth in 2014 and beyond in both turnover and profitability. The company has secured 55% of budgeted revenue for 2014 and has confirmed business to 2020'. 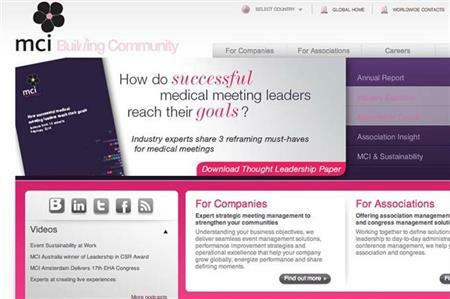 Jennifer Jenkins, MCI UK managing director, said the growth was primarily driven by the company's congress business. She added: "These are excellent results in the current competitive climate."